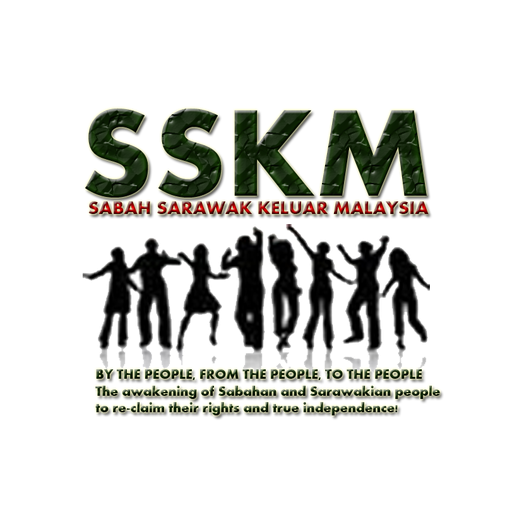 Sabah Sarawak Keluar Malaysia (SSKM) group was established on 2011 August, 9 approximately at 3.25pm, Tuesday, on Facebook. The Founder of this group is Doris Jones, a Sabahan-born Para Legal UK-based. The group started off with a small number of supporters, eventually gained more than a 10,000 online supporters and followers within a few months after its establishment. In 2012, the SSKM online group was hacked by an unidentified individual, assumed to have the intention of crippling down SSKM movement and idea. However, such puny sabotage has done nothing but fueling the spirit of SSKM existing supporters. A new Facebook page was created immediately after, going by the same name of the previous hacked page. Since then, approval of group-joining requests has been strictly monitored. Facebook accounts which are deemed fake or “too secretive” has been banned from joining the group i.e; Facebook accounts with no proper profile picture, or fake names. The approvals of members were also been restricted to citizens of Sabah and Sarawak. Since its establishment, SSKM garnered both supporters and opposes. Threats, negative remarks, and misleading false accusations were given from opposing public as well as NGOs, including some local leaders from the ruling government and also oppositions. But the spirit and focus of the group were never shaken but instead SSKM continued to move further forward. 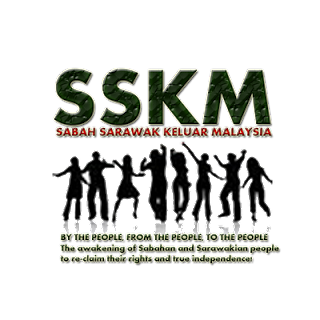 In 2013, SSKM has been officially registered under a new Non-Government Organization based in the United Kingdom of Great Britain and Northern Ireland (UK) by the name of Sabah Sarawak Union - UK (SSU-UK). On September 2014, the Government of Malaya, who has been masquerading as the Government of The Federation of Malaysia for 51 years, has officially and publicly acknowledge the existence of SSKM Group and has been denouncing SSKM in the social media constantly, aggressively. However, SSKM Group considered this as a free promotion for the group into the awareness of the public in Federation of Malaysia, as well as to the whole world. Since then, SSKM gained further public attention and began to move more publicly and vocally. Shaken, the Malayan Government published a remark, accusing SSKM Group as being a “Separatist Movement”. However, SSKM continued to gain further support from the citizens of the Borneo States of Sabah and Sarawak, with applications to join the group poured in endlessly. This in turn has given a clear message that there are a larger number of concerned citizen who have seen the flaws in the Malaysian Agreement and that Federal Government have failed to obey the original concept of the federation. The BEST OPTION for Bornean is a True Independence! Sabah and Sarawak has been governed under the current Administration since 1963. That was the year Malaysia was born and sadly, that was a new beginning of political slavery that took place in these two promising lands. Sabah and Sarawak were seen and mentioned by the current Administration as their fix deposits which they gain in terms of political "interest" during Election time has taken their natives, people and produce for granted.